A recent discussion on the radio about Christopher Nolan’s new film Dunkirk centred on the non-linear nature of the narrative. 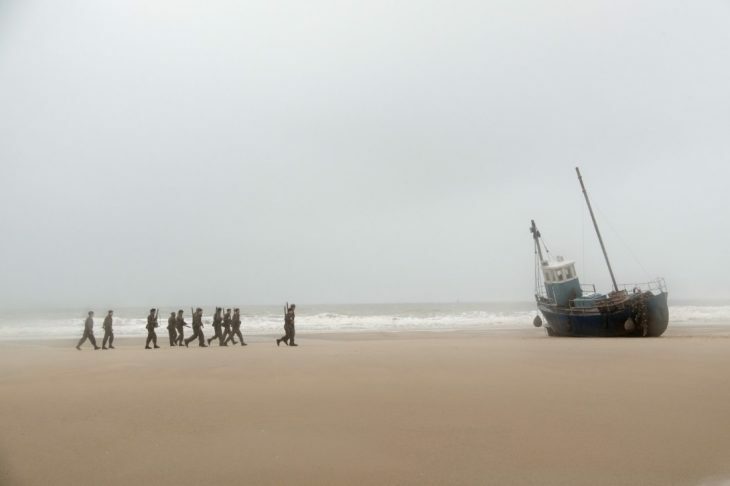 One complaint about the dramatisation of events in the spring of 1940, when over 300,000 Allied troops were evacuated from the beaches of the French town, is that it the story is difficult to follow within the confines of a piece of filmmaking. Nolan interweaves three different strends, covering the air, sea and land efforts associated with the evacuation, into the story. But, typically for the British director who created the mind-bending Inception, these three strands to the film do not run in a standard time format. It is this twisting and turning of the narrative that is seeing moviegoers to come to the conclusion that the film is flawed (one gripe, missing the point entirely, is why within the space of a few minutes, an air attack on the beach has the sun shining and then overcast) and, therefore, Nolan has finally produced a dud. Perhaps those that miss the introduction to the film, with titles of the three strands and their positions in the timeline (one week for the sea rescue story, a day for the land-based drama, and an hour for the airborne action), have a point – but that surely instead is just a lesson in ensuring the viewer pays attention from the very beginning of the film (the action starts within seconds of the title – it’s hardly a slow burner). In fact, one could arugs that Nolan’s film, which he also wrote and co-produced, wouldn’t be the terrific piece of filmmaking that it is unless it had the meandering structure. Rather than giving a broad overview of the evacuation of those who had retreated to the beach, as the enemy surrounded them (over-the-top action director Michael Bay would presumably have had enormous fun with that scenario), Nolan focuses on just a handful of troops trying to get off the beach, a small boat (skippered by Mark Rylance) making its way across the English Channel as part of a flotilla of civilian vessels sent to save as many soldiers as possible, and a trio of Spitfires attempting to protect those below from the German Luftwaffe. Inevitably, all three storylines involve one another – but where Nolan’s mastery of storytelling comes to the fore is in his ability to bring each of the dramas together at various points, before heading off again to give the viewer some more detail on one of the individual elements. This is not as potentially infuriating as it might sound, and it would probably take at least another watch to piece together exactly where and when each part of the story ends and where another begins. Dunkirk is a supremely clever and brilliant piece of filmmaking for that reason… but not for that reason alone. The much talked about inclusion of teen pop star Harry Styles in one of the leading roles, for example, illustrates the ability of Nolan and his two casting directors to identify character and ability in an actor. Styles does a sterling job as a panicked, young British soldier, without a hint of his former life as a member of One Direction. 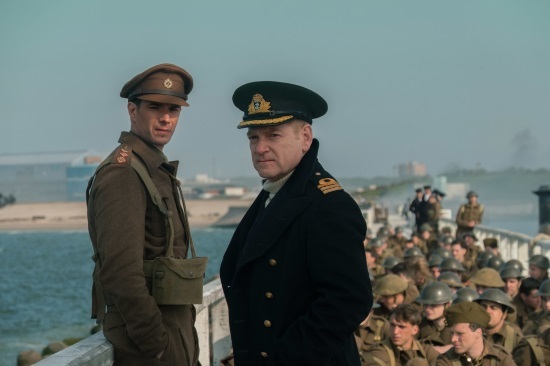 Rylance is, again, a standout performer, as are Kenneth Branagh and James D’Arcy as the commanding officers of the navy and army respectively. Air helmet-clad Tom Hardy, as one of the Spitfire pilots who performs various feats of daring do, eventually has to ditch his aircraft on the beach and is captured by German soldiers, manages to command the screen with essentially just his eyes and forehead (apart from his final scene, when he disappointingly appears to pull his Kray Twin pose). Some film critics are labelling Dunkirk as one of the best war films of all time, or at least since the heyday of war films in the 1950s and 1960s. But does it stand up to or tower over the likes of A Bridge Too Far, Saving Private Ryan or The Dirty Dozen? For those that seek action as the primary thread running through their war films, then probably not. Dunkirk has plenty of action (especially in the air), but it doesn’t match the brutal intensity of Saving Private Ryan, for example, which depicts events at the very same northern France beaches a few years later during the Allied invasion at the end of the war. Nor does it have an overly heroic sense of optimism about it (despite there being plenty of heroic characters within the film). In fact, its conclusion smartly includes the sense of failure that some of the troops had about retreating and then the largely civilian-based effort being required to get them back to the relative safety and sancturary of the British Isles. 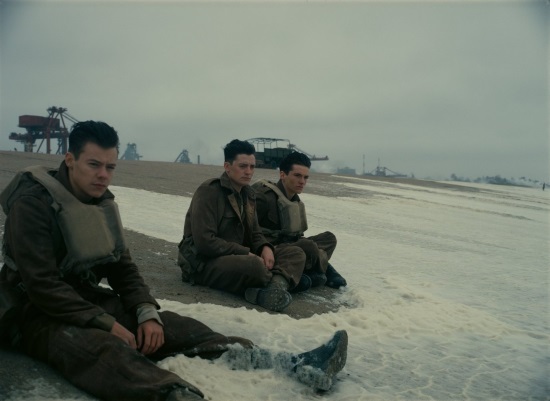 Where Dunkirk can rightly see itself jostling for position is in that genre of war films that have an ability to create drama through the sheer power of the story, rather than bombs or guns or hand-to-hand fighting. Some are pointing to what is an glaring omission of the role of the French forces in the evacuation – but, again, this misses the point. Nolan’s complex (yet actually rather simple, in terms of the basis of each element of the story) narrative doesn’t allow for – nor seek – the wider context of the saga, beyond a few token mentions of military maneovures and strategy. It is only briefly, as the film ends, when Winston Churchill’s “fight them on the beaches” speech is heard, do watchers get a small sense of the magnitude of what was achieved in 1940. This is done, interestingly, not in a particularly triumphant tone. And it is this subtletly that will probably be part yet another element that propels Nolan’s triumphant piece of filmmaking to the top of the pile once awards’ season comes at the turn of year.